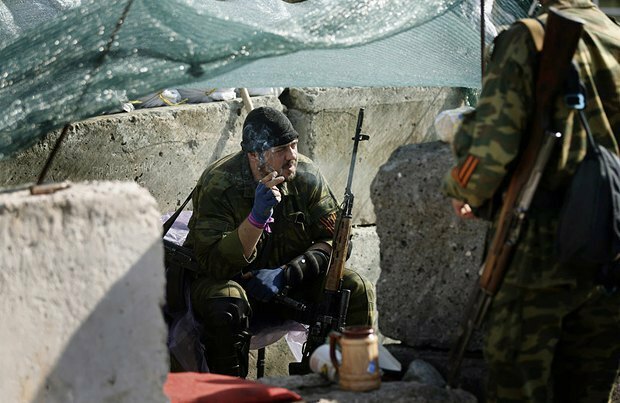 In their current form, the Luhansk and Donetsk people's republics (LDPR) and the war in Donbas are the bone which stuck in the Kremlin's throat and made it choke: it has to support the occupied territories with Ukrainian citizens suffering there. Moscow is also suffering huge reputational and financial (sanctions) losses in the international arena. 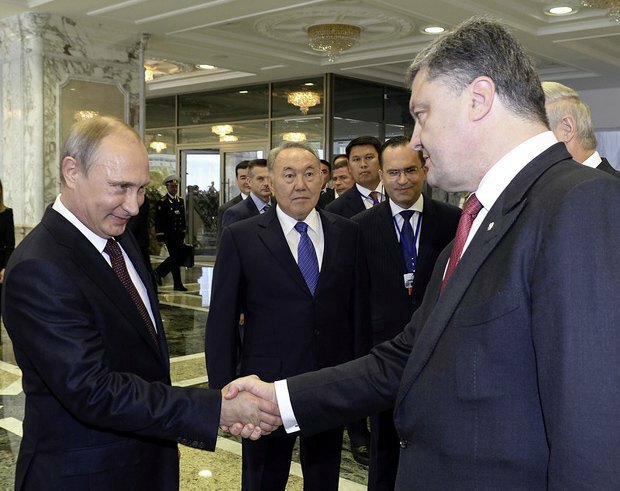 And the longer this obstacle is there weakening the Russian Federation, the better it is for Ukraine because they now openly admit it in Russia that Ukrainians will be able to shed Russian pressure only if the Russian Federation disintegrates. So should Kyiv be helping the Kremlin to pull this "bone" out of its throat at the expense of its own interests? The Minsk agreements turned two on 5 September. Ukraine's Foreign Ministry described this period as unsuccessful: "5.09, two years since the date the Minsk protocol was signed. Until now, Russia, as a signatory to it, has not implemented any of the clauses of the Minsk agreements," Foreign Ministry spokesperson Maryana Betsa. Without recapping the entire text of the Minsk protocol, we should look at what has actually been slowing down the settlement process. And the reason is, first of all, is the block of questions that can be grouped together into the so-called political part of the Minsk agreements (PPMA): they provide for special extended powers of the region in the Constitution of Ukraine, amnesty for the militants and elections in the occupied territory. The order in which these steps should be taken has become the stumbling block - what comes first: the security section or the PPMA? Moscow insists that all clauses must be implemented in parallel, that is, amnesty, elections and LDPR legalization should be carried out simultaneously in the current situation. Moscow's calculation is clear: with full military control and open border, Russia will have absolute control over the region (the local "elites" and the population) it occupied so the result of any elections will be predictable. After all, the LDPR leaders and their handlers in Moscow expect any "election" to simply legalize the existing administration. Kyiv, for its part, understands that the implementation of the PPMA in this interpretation is contrary to the national interests of Ukraine as it may result in a Russia-infected organism infecting the country and slowing down its development. Therefore, the Ukrainian authorities have set a condition - no special status, amnesty or election until the border is sealed. And it is important to emphasize - the Ukrainian authorities have convinced Western leaders that this approach is correct. In such circumstances, the situation looks like a dead-end. Without the PPMA, the separatists will not agree to a settlement. 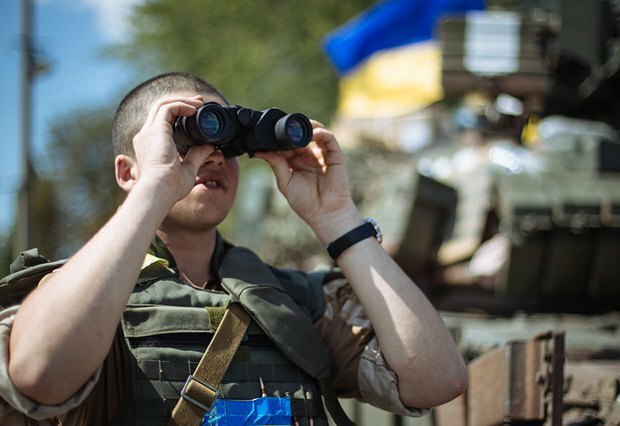 At the same time, the Ukrainian side will not agree to the PPMA without closing the border. Ukraine will not be the first to start the warfare, as Kyiv repeatedly said. In addition, an initiative to resume the war can destroy an established international coalition with Ukraine. However, the best option for all parties is to deploy international armed peacekeeping forces (often referred to as an OSCE armed police mission) without the participation of Russia. It should help Ukraine to restore sovereignty over this territory and control over the entire length of the Ukrainian-Russian border. But the Kremlin so far has been resisting this option, which its satellites in Donbas have loudly expressed. The efforts of the world leaders, most of all in the Normandy format, focused specifically on convincing Putin that it was a reasonable option. So until the Kremlin decides to bring the lawlessness to an end and leave Donbas, local engagements, attacks, penetration by sabotage and reconnaissnce groups will continue. But with the current configuration of the Russian government, this solution is unlikely in the foreseeable future, which means the conflict is likely to be frozen. Read: Operation "legalisation": Is the West going to stop the soft recognition of Crimea annexation? And until the final option of a settlement, which would suit all parties, is agreed, the negotiators are trying to secure the widest possible public support for their scenarios. For example, an information campaign is being carried out to plant the PPMA on Kyiv and change public opinion in Ukraine to later use it as leverage against the authorities. Point 1. "There is no military option of Donbas's return to Ukraine so the war can only be ended through reconciliation. And this requires the full implementation of the Minsk agreements, including the PPMA ". Reconciliation is necessary, but we must understand - who will be the subject of reconciliation? If there are citizens of Ukraine on one side and there are residents of Donbas on the other side, it may happen even now: the destruction which set in, a two-year stay in the state of uncertainty and the lack of prospects for the occupied regions in the future have shattered the illusion of the "Russian world" even among those supporters who originally pinned hopes on the "Crimean scenario" (a Ukrainian territory's inclusion into the Russian Federation). Local residents view the current situation only as occupation, and therefore they can hardly wait for the pre-war status quo to return. Kyiv's reconciliation with the existing leadership of the separatist regions, which held weapons in their arms,will be considered as capitulation. Therefore, it is hardly possible. Point 2. "Peace at any cost: if you do not implement the PPMA, an LDPR offensive or even a full-scale Russian invasion can start any moment, which will result in catastrophic consequences for Ukraine. So you can not delay the implementation of the PPMA ". The blackmail of Ukraine by Russia and its collaborators in Donbas with a new escalation of violence, if their conditions (legalization of the separatist regions with a further launch of the federalization of Ukraine) are not met, is an obvious and tested option, in fact the Minsk-2 was signed this way. But it is naive to think that the same trick can be repeated twice: Kyiv understands this concept and is already prepared (and continues to prepare) to ensure that the renewal of war does not go unpunished for anyone who initiates it (either by Russia, or their Russian-terrorist troops in Donbas). Point 3. "Ukraine violates its international commitments: the non-fulfillment of the commitments will ruin the trust of international partners, including those from the West. This would mean no loans or other support and the sanctions on Russia can be lifted." First, Ukraine delivers on all of its international commitments. 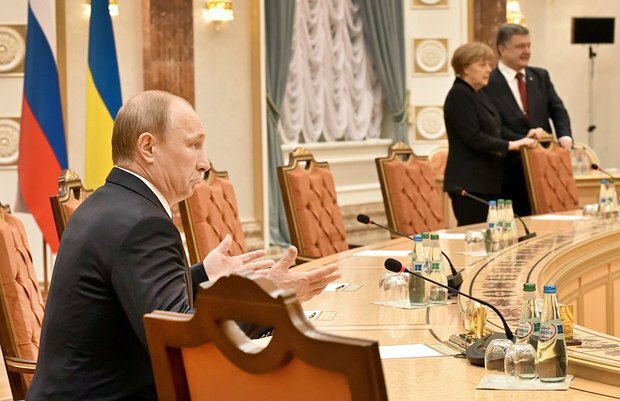 Second, it is not up to the Russian Federation to criticize Ukraine over its international obligations - it just does not make any sense: the Minsk agreements are written on the back of the Budapest Memorandum and the Treaty of Friendship and Cooperation between Ukraine and Russia, each of which was grossly violated the Russian Federation. Especially now that international support is on the side of Ukraine: Kyiv smanaged to convince Western partners that the PPMA is possible only after it restores control over the Ukrainian-Russian border. Point 4. "War justifies theft and corruption. And until there is the PPMA which would establish the lasting peace in the country (resolves the problem with Russia and settles the situation in Donbas), no investor will come to us." First, we have (no matter what someone wants) not a "war" but the antiterrorist operation in certain areas of Donetsk and Lugansk regions (CADLR). Therefore business restrictions that may exist to belligerent countries do not apply to Ukraine. In addition, Western loans and investments in general have no connection at all to the situation in Donbas. They depend on reforms and business environment. c) the "Novorossiya-LDPR" project on the territory of Ukraine has failed and become clearly unattractive to the residents of the occupied territories and Ukrainians in other areas, and even for the citizens of the Russian Federation itself. d) the "Russian world" project has shown its "war face", resulting in the creation of a global anti-Russian coalition. 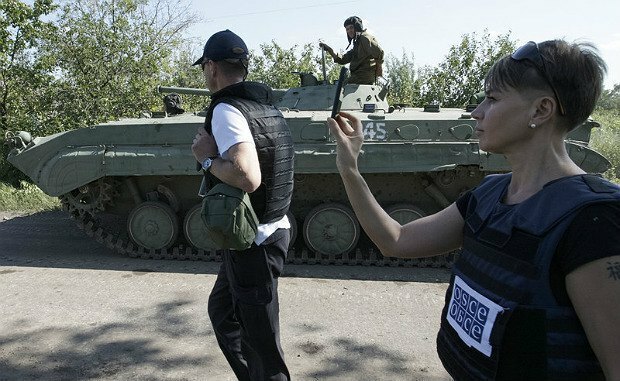 In its current form, the Luhansk and Donetsk people's republics (LDPR) and the war in Donbas are the bone which stuck in the Kremlin's throat and made it choke: it has to support the occupied territories with Ukrainian citizens suffering there. Moscow is also suffering huge reputational and financial (sanctions) losses in the international arena. And the longer this obstacle is there weakening the Russian Federation, the better it is for Ukraine because they now openly admit it in Russia that Ukrainians will be able to shed Russian pressure only if the Russian Federation disintegrates. So should Kyiv be helping the Kremlin to pull this "bone" out of its throat at the expense of its own interests?